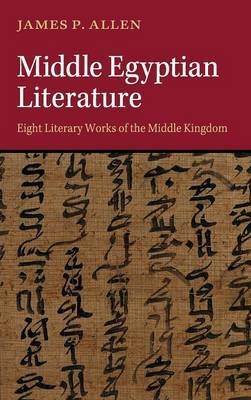 A companion volume to the third edition of the author's popular Middle Egyptian, this book contains eight literary works from the Middle Kingdom, the golden age of Middle Egyptian literature. Included are the compositions widely regarded as the pinnacle of Egyptian literary arts, by the Egyptians themselves as well as by modern readers. The works are presented in hieroglyphic transcription, transliteration and translation, accompanied by notes cross-referenced to the third edition of Middle Egyptian. These are designed to give students of Middle Egyptian access to original texts and the tools to practise and perfect their knowledge of the language. The principles of ancient Egyptian verse, in which all the works are written, are discussed, and the transliterations and translations are versified, giving students practice in this aspect of Egyptian literature as well. Consecutive translations are also included for reference and for readers more concerned with Middle Egyptian literature than language.